NTCC Honors students to present Lunch and Learn at Mount Pleasant Library. 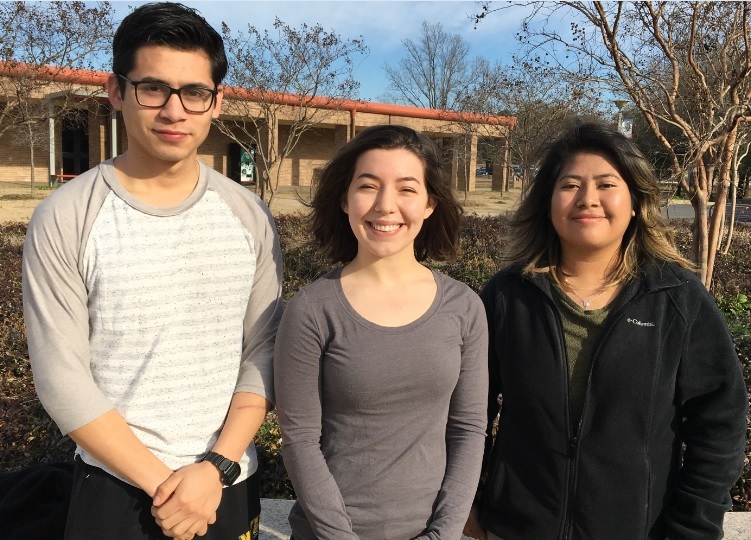 Three Northeast Texas Community College honors students will present original essays on regional issues during a Lunch and Learn event at the Mount Pleasant Library on Thursday, Feb. 21. The event will be held at 12:15 p.m. in the library’s community room and is open to the public. A free pizza lunch is included. Hannah Dickson (center) will present a study of how Mount Pleasant, in a 30-year-period, became a city where Hispanics grew the largest ethnic group. Daniel Landaverde (left) will examine Hispanic Mount Pleasant from the standpoint of the quality of the immigrant experience. Verania Leyva (right) will look at the unique way Barbara Conrad, who is also the topic of a new honors film, related to the civil rights movement. All three speakers will address questions of vital significance about the minority experience of our area. Please e-mail Dr. Andrew Yox at ayox@ntcc.edu ahead of time to ensure an accurate lunch count. The NTCC Honors Program is currently accepting applications for the 2019-2020 school year. Please visit www.ntcc.edu/honors to learn more. 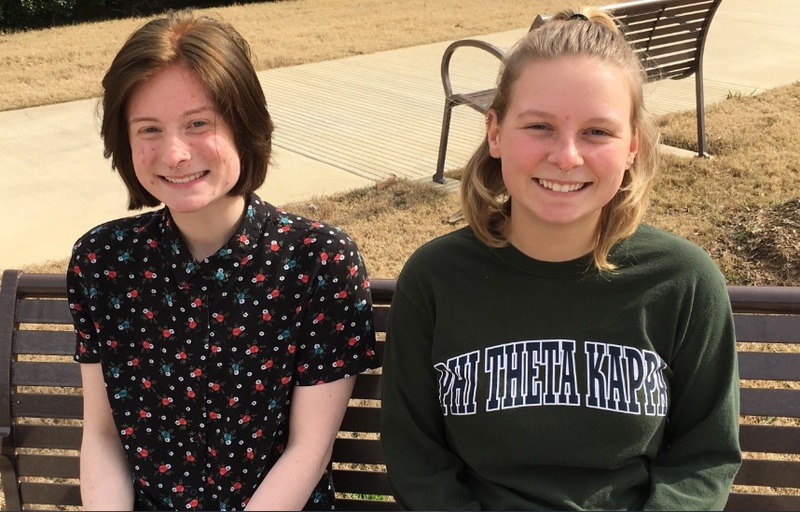 Northeast Texas Community College students Rhylie Anderson (left) and Lilly Haack were both recently announced as semifinalists for the prestigious Jack Kent Cooke Foundation Undergraduate Transfer Scholarship. Two NTCC students named semifinalists for Jack Kent Cooke Foundation scholarship. Her paper entitled “The Politics of Futility” won a Caldwell Award from the Texas State Historical Association and had been accepted to be published in Touchstone journal. Anderson has presented her work at the Great Plains Honors Council, Western Historical Association, and the National Collegiate Honors Council. She will be presenting her recent work on “Queer Identity in Music” at the upcoming World History Association. “Seeing the email saying that I was a semi-finalist gave me the optimism that I can accomplish big things and keep going to make my ideas a reality,” Anderson said when describing her reaction to the news. She was recently chosen to serve as an Ambassador in the Texas State Parks Program. Haack is also one of only ten students nationwide selected to be a 2018 Pearson Scholar. Her paper entitled “Saving the Spirit of the West” has been accepted for presentation at the upcoming World History Association. The Northeast Texas Community College Art Department will host a photography exhibit by Ginger Sisco Cook February 8-27 in the foyer of the Whatley Center for the Performing Arts. The show is free and open to the public for viewing during regular business hours. A reception with the artist will be held Tuesday, Feb. 12 at 12:30 p.m. in the Whatley foyer. The art department is happy to start off the spring 2019 semester with a fantastic display of photography from Ginger Sisco Cook from Paris, Texas. Her use of natural light and her landscape series are what draw me to her work,” Debbie Strong, NTCC Division Chair for Creative and Performing Arts, said. 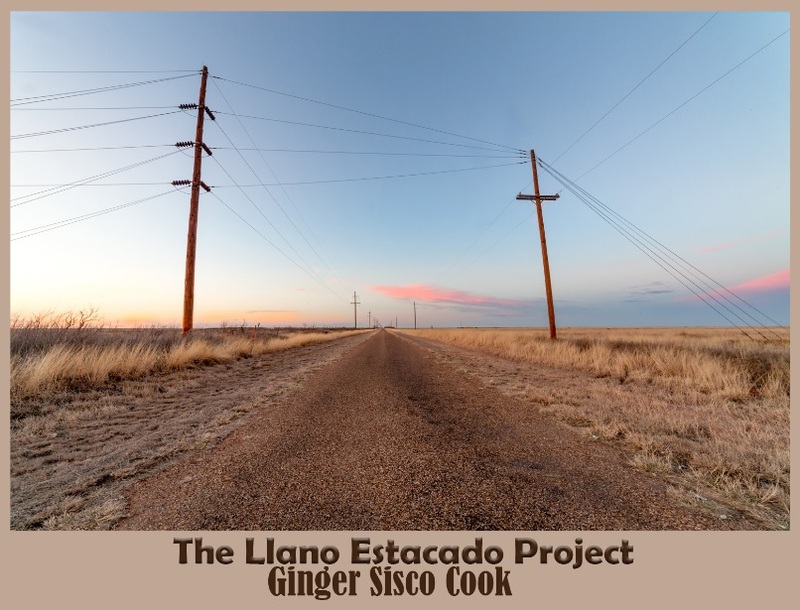 The exhibit includes 18 photographs from Sisco’s Llano Estacado Project. Cook says she photographs the people and the places she remembers from when her family traveled to visit both sets of grandparents and twelve sets of aunts, uncles, and cousins who lived from one end of the high plains to the other. It was from the back seat of an old 1955 Oldsmobile Holiday Hardtop that she grew up observing the land. “The American West was and still seems to be defined by the eyes of males. The problem is that few people in America know the women who could stand toe to toe with Ansel Adams: Laura Gilpin, Mary Peck, and Marion Post Wolcott to name only some. Their work is striking and compelling but, for the most part, unknown to the general public,” she said. In addition to viewing the exhibit, Strong encourages anyone interested in photography or digital art to please check the fall 2019 schedule and come see what the art department has to offer for personal enrichment or to begin an art degree at NTCC. For more information, please contact Strong at 903-434-8172. Pictured above, MA student Natalia Ramirez and PTA students actively plan an evacuation strategy for a patient in the wheelchair. 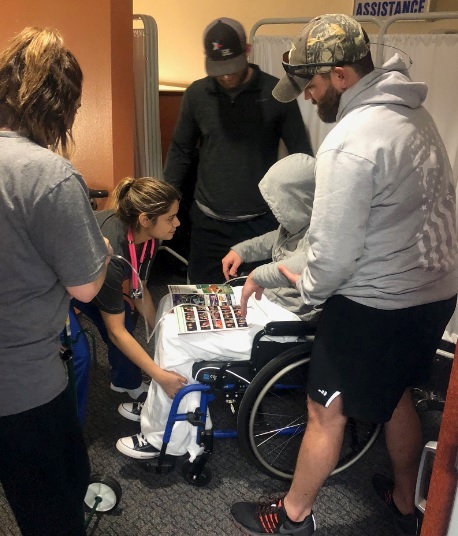 The Northeast Texas Community College Medical Assistant Program (MA) recently collaborated with the Physical Therapist Assistant Program (PTA) in a mock evacuation of a physician office due to a chemical spill. They are pictured as a group above. The PTA students assisted in the evacuation efforts and portrayed patients and family members of patients to create a real-life scenario. The exercise allowed MA students to actively test their critical thinking skills, administrative and clinical duties to facilitate the evacuation in a timely and safe manner. The collaboration demonstrated to MA and PTA students the importance of active communication between different healthcare professionals during a crisis. To learn more about the MA and PTA Programs at NTCC, visit www.ntcc.edu/medassist or www.ntcc.edu/pta. The MA program is currently accepting applications for new students. The Northeast Texas Community College Emergency Medical Services (EMS) Program is pleased to announce that NTCC is now a testing site for the National Registry (NR), which is the certifying agency for EMS personnel nationwide. This opportunity for onsite testing will provide NTCC program graduates and other qualified individuals at all levels of EMS training with a local option to take their professional exams. “We are very excited to become a testing site, as it makes our program truly a “one-stop shop” for students who take our program courses. In the past, our graduates have had to incur significant expenses and travel quite vast distances to take their exams. This wasn’t ideal for numerous reasons, and we are happy to be able to remove that barrier,” Deborah Grantham, NTCC EMS Program Director, said. When students complete their coursework at NTCC and are approved by the National Registry by submitting course completion documents and a testing fee, they will now be able to schedule, through the NR, the written part of their exams (both EMT’s & Paramedics) to be taken locally through the NTCC Testing Center. NTCC EMS was also recently approved to be a psychomotor-approved testing site for the practical exam for those students at the Paramedic level. This exam requires students at the end of their training to test all of their clinical skills in a simulated environment and will now be available beginning in August of this year. “The demand for seats in all levels of NR exams (both written and psychomotor) is very high. Some students have had to wait for months and travel hundreds of miles to take these exams. We believe that offering these locally will greatly assist our students in more convenient options and thus we hope to increase our graduates’ chance for success,” Grantham said. The NTCC EMS Program offers training towards an A.A.S. in EMS as well as two levels of certificates. These certificates include EMT-Basic Level I Certificate and the Paramedic Level II Certificate. To learn more about these options, visit www.ntcc.edu/ems or contact Ms. Grantham at 903-434-8320 or dgrantham@ntcc.edu.